The Child Brain Injury Trust board of Trustees. Scroll down the page to find out more on each of the Trustees. 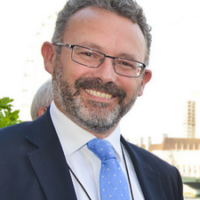 Rob joined CBIT as a Trustee in 2004 and became chair in 2012. Having grown up on a farm in the mining valleys of South Wales he is a graduate of Reading University and has studied at Iowa State University in the USA and the University of Glamorgan where he completed his legal studies. 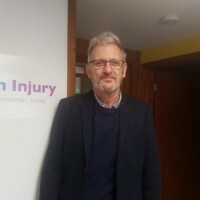 Rob is a director and Court of Protection deputy with NewLaw Solicitors specialising in brain injury personal injury cases for adults and children. He is well travelled having spent time in Canada, the USA, Mexico, Australia and throughout Europe. His early career as a solicitor also took him from Swansea to Basingstoke via Reading and finally back to Cardiff where he now lives with his wife and two children. Having spent many hours doing 10k runs, half marathons, sprint triathlons and excessively long walks in the name of charity, Rob now prefers to spend his down time watching rugby, skiing and cooking. Treasurer, trustee since 2008 Terry spent some six years in accounting roles before enjoying over 30 years in the IT industry in senior positions including Finance Director of a U.K. Public company, Vice president of a NASDAQ quoted company and European VP of services for a Dow Jones Corporation. Terry has extensive experience of start-up situations, major corporations, fund raising and the corporate finance environment. He now works with CBIT as Treasurer, is a consultant to a corporate finance company and invests and acts as Director in diverse growth activities. His passion is for his children, gardening and for history, where he recently completed a degree at the University of Hertfordshire. He is committed to the growth of CBIT by building a sustainable environment and adopting a proactive but prudent approach. 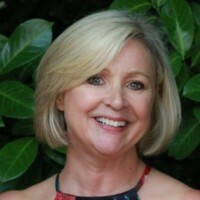 Sarah Mackie MSc FCIM Sarah Mackie joined CBIT as a Trustee in 2016 with a specific responsibility for marketing and communications. Sarah is an award-winning marketer who has worked with a broad spectrum of clients from global blue-chips through to SMEs and start-ups; and now guest lectures in Business Marketing at Buckingham University. In recent years Sarah has channelled her creative talents into writing children’s fiction and is the author of two of the Trust’s books: Rearrange Your Brain and The Other One, both aimed at the siblings of children with brain injury. Stephen joined Child Brain Injury Trust as a trustee in 2017. He currently works with a wide range of businesses on leadership, culture, business development and providing advisory and professional services. His career has involved working for large corporates, small start-up organisations and as an adviser to the UK government. It has also included extensive travel and adjustment to many cultures – an interest that he has continued outside of work. Stephen has joined to support the development of the services that Child Brain Injury Trust does and could provide in the future. Chris became articled to the senior partner of a law firm in Leicester in 1968. He ran the firm’s higher courts department until 1977 when he was approached to join a local barristers chambers as senior clerk. He stayed there until 1988 when he was headhunted to join what is now known as 7 Bedford Row. He had 12 happy years there but decided to leave when he was 50 or when he had his 20th Queen’s Counsel, thankfully both occurred in the same year. 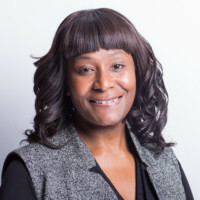 In the last 17 years Chris has been a Chief Executive in leading chambers in London and Birmingham, latterly St Philips Chambers from 2009 to 2012. He has also been the CEO of a law firm in London and Bristol; the Commercial Director of ADR group for whom he opened a London office; a Director in several commercial companies and is the Chairman of Audit Compliance Limited. He has sat on a dozen Bar Council committees and chaired several national conferences and workshops/seminars in relation to, among other subjects, best practice, equality and diversity and pro bono (as the former vice chairman of the bar pro bono unit.) He sat on the Bar Nursery Committee twice and helped negotiate, with its Chair, the successful opening of facilities for the bar in London and Leeds. He is the immediate past Chairman of the Birmingham Law Society, immediate past Chairman of Governors at a large primary school in Birmingham and was heavily involved with St Philips Cathedral in Birmingham sitting on their Tercentenary Committee. He was presented with a lifetime achievement award by Birmingham Law Society at their Legal Awards evening at the ICC in March 2017. These days he has a national consultancy as a legal recruiter/headhunter and advisor to law firms and barristers chambers. He has considerable experience of managing and advising on mergers/acquisitions. Chris is a season ticket holder at Leicester City, an Associate Member of MCC and a Liveryman of the City of London. I have been a Trustee of CBIT since May 2014. However, prior to becoming a Trustee I worked with CBIT due to their ethos to help any child or young person with an acquired brain injury. I assist the Charity by providing legal advice in relation to brain injury claims and special educational needs. I also endeavour to raise the profile of the Charity at every available opportunity. Lisa Turan, the Chief Executive has manages a team of committed staff who will go above and beyond for children, young people and adults who have been affected by brain injury. She has manage to place family liaison officers in all of the major trauma units in the UK to ensure that families are assisted at the point of need. It can be a distressing time for families/individuals affected by brain injury and it is such a relief that they can be assured that professionals are there to navigate them through the difficulties and to signpost them to appropriate organisations that can assist. My work with CBIT is both rewarding and satisfying and it is a pleasure to work with this Charity. 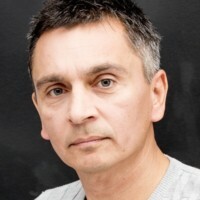 Andy became a Trustee of the Child Brain Injury Trust in 2012, having been thoroughly moved by the commitment of the team to bringing fairness, real-world support and guidance to families whose lives were profoundly affected by a brain injury to a family member. 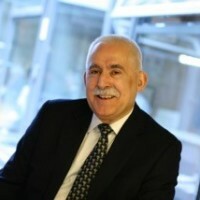 His entire career, from his first role in a hospital pathology laboratory, has been focused around the healthcare and medical device industry, transitioning into commercial sales & marketing as far back as the late 80s. Having steadily progressed through increasing levels of responsibility, and embracing a nomadic lifestyle that has seen him travel extensively across the globe, Andy found his niche, as a Managing Director, leading startup businesses in his beloved medical device sector. 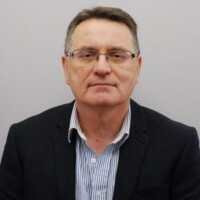 Following successful acquisitions of these businesses he founded his own commercial consultancy, providing strategic and executive support to innovative companies seeking to transform the delivery of healthcare solutions to the medical world. He passionately believes in the right of every man, woman and child to be free, able and encouraged to live up to their infinite potential and sees his role within CBIT as one way in which to assert that basic right. When he is not working he focuses his time fighting Father-Time, doing triathlons, acting in the occasional independent film and most importantly, with his family. His favourite job has always been being “Dad’ to his three daughters and he can now add “Grandad’ to that list having recently been admitted to that club.